Were you paralyzed in an accident? Or, is someone you love now a paraplegic or quadriplegic, and was someone else to blame? If so, dealing with paralysis can be devastating. Your life changed in the blink of an eye, and dealing with the stress of medical bills, not being able to work, and adapting to a new lifestyle can seem unbearable. At Edgar Snyder & Associates, we've helped hundreds of accident victims who have suffered paralysis and other severe injuries, like brain injuries, spinal cord injuries, and neck injuries. We know nothing can erase your injuries or emotional pain, but we can help you get on with your life. We can help you get the money you deserve. No matter what caused you to become paralyzed, there will be piles of medical bills. Injuries that cause paralysis typically require treatment with specialists, lengthy hospital stays, and rehabilitation. You may have missed paychecks, and you might not be able to do the same job you held before your injury. Also, you may need future medical care due to your injuries. The emotional impact of paralysis can be just as hard to deal with as the physical trauma. Things you used to do without thinking about them are now difficult or even impossible. Everyday activities have become obstacles. People might treat you differently. You might see yourself differently. Getting the compensation you deserve can't take away the fact that you've been paralyzed. But it can help you pay your bills, get your life in order, renovate your house or get adaptive devices you may need, and provide financial security for you and your family. At Edgar Snyder & Associates, we're ready to fight for that compensation and help you get the best quality of life possible. Since 1982, we've represented thousands of people seriously injured in accidents. We know how the insurance companies work – they will try to settle your claim for much less than you need and deserve. We investigate the scene of the accident and gather evidence. We travel to you if you can't make it to one of our Pennsylvania locations. We answer your questions and keep you updated on the progress of your case. We help you figure out your medical bills. And remember, there's never a fee unless we get money for you. If we don't win your case or settle in your favor, you won't owe us a penny. Whatever you do, don't sign any papers from the insurance company until you talk to an attorney about your rights. 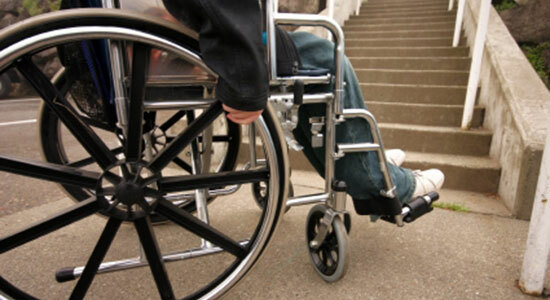 If you were paralyzed in an accident and you think you may have a case, contact us today. Call toll-free at 1-866-943-3427, or fill out the form at the top right of this page for a free legal consultation. There's no obligation to use our services, and we'll tell you if we think you have a case. Our phones answer 24/7, so don't wait another moment. Evidence disappears quickly, and there are time limits to file a claim.